So far Chris O has created 55 blog entries. The Township of Washington Police Department would like to remind you that If you see something, Say something! Report any suspicious activity to the Township of Washington Police Department or by calling 1-866-4-SAFE-NJ. Another successful Coffee with a Cop event! Coffee With A Cop was another success! Thank you to the Township of Washington Library for allowing us to host the event! Please look for our next even in the Spring of 2019, it will be posted on our webpage and twitter account ! Below are some pictures from the event. Winter Weather Information and Driving Tips! National Law Enforcement Day was spent reading to children! 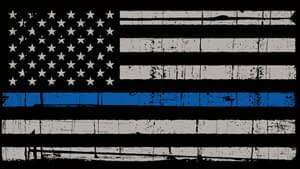 Today is National Law Enforcement Appreciation Day!